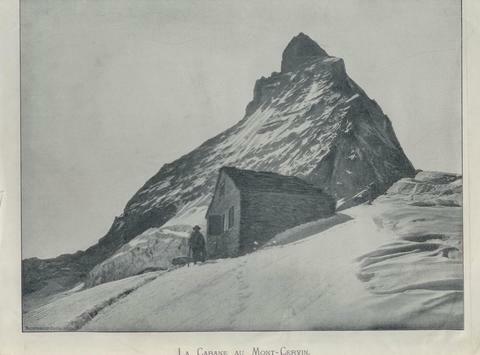 A Ghost Story For Christmas: The Mountain Grave. The Swiss town of Zermatt lies on the Italian border south of the Naturpark Pfyn-Finges some way away from Bern. There lies a string of more built up towns to its north, lying along a liner path marked by a highway, connected by the towns of Sion and Sierre. In spite of Zermatt being more prominent for those interested in a variety of winter sports, I had been visiting it regularly some years as a slightly different choice of retreat away from academic work. In the winter season, the town is picture-perfect as an example of Swiss design, the snow falling in crisp white sheets across its mountainous pathways, dominated in large by the peak of the famous Matterhorn mountain. It may have seemed a strange destination for such relaxation when skiing and other such winter sports were of the remotest of interest to me, but I had found something about the many pathways and walks available outside of the routes used by the keen sports enthusiasts that were most enjoyable to explore. More than this was the consistently pleasant feeling of returning to the hotel that I regularly stayed at after such walks; its log cabin interior design, fireside chairs and its Horu-Käserei fondue being a welcome and relaxing return after many walks outside dispelling the stress of work built up during the academic semester. Yet, for the last few years now, I have avoided the place and its mountainous hills after a strange collection events unfolded on my last visit some years back. 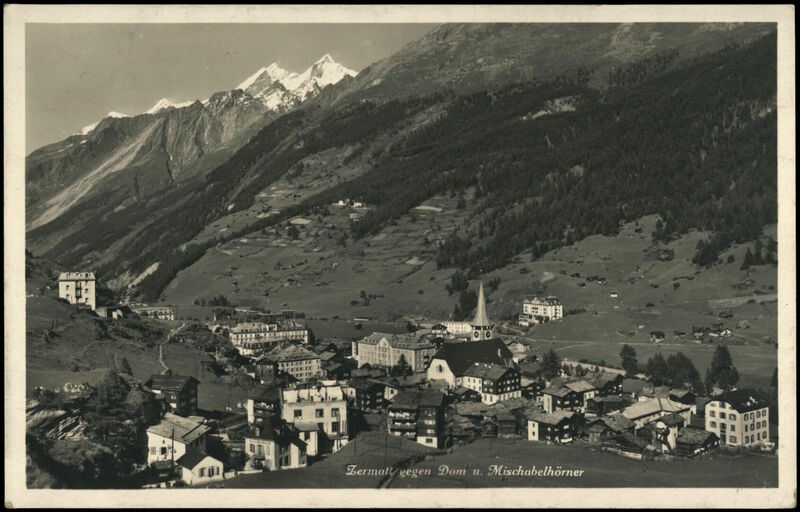 I arrived that year at my usual hotel, named the Zermatterhof, checking in with the friendly concierge who informed me of the usual ammenities with a warm and regular familiarity. The hotel had changed in recent years but still retained its grand atmosphere from an earlier period when travel was reserved for only the most wealthy of families. It was now enjoyably sparse during this time of year and I sought it deliberately to take advantage of its many empty lounges and dining rooms for quiet reading and a relaxed pace of thought. I would awake in good time, collect food from the main dining table at breakfast and journey out into various areas and pathways all around the town. A certain pleasure was to be had from observing the many partakers in skiing, a sport for which I had little personal enthusiasm but one from which I took great pleasure in idly watching from afar, often from one of the many hillside terrace cafes and bakeries which litter the valley of the town. It was on my second day, however, that things began to turn towards the strange when I met a fellow occupant at the Zermatterhof, one William Keller. I was waiting in the lounge in an idle daydream when the man, short in height and jittery in nature, sought to make my acquaintance on the part that I was reading a book by the mountaineer, Eric Shipton. Keller, so he told me in his frantic manner, was a keen climber and explorer of a kind that I had assumed had largely been consigned to the history books with the final conquest of Everest. I even ascertained that his room was only a few doors down from mine in the hotel. 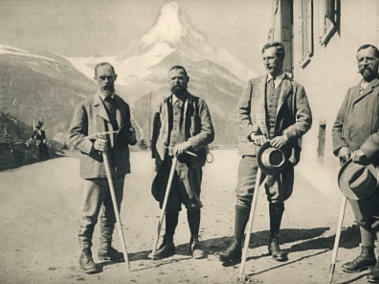 He mentioned his time being spent on a mixture of mountain exploration, as high as he dared were his words, along with some historical interest that was his chief work; that of archaeology. 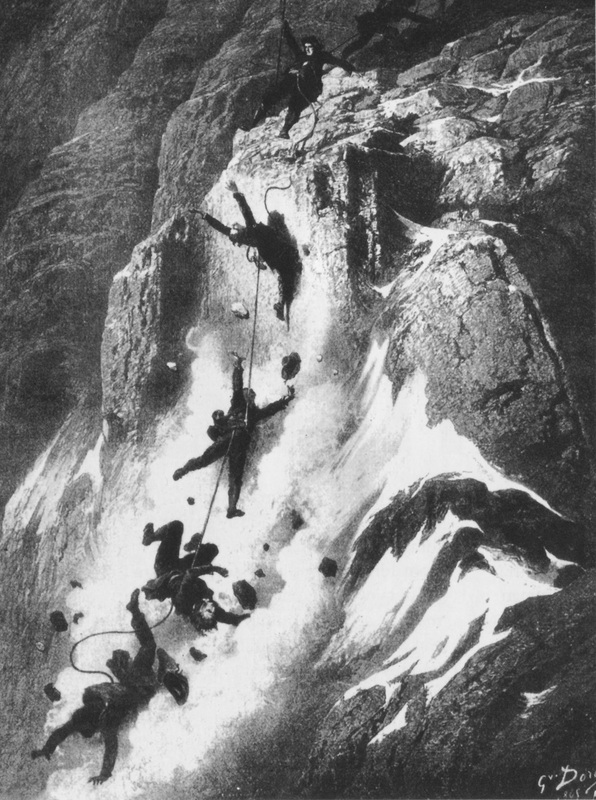 He discussed in passing the many tragedies that had befallen the climbers of the various mountains in the area and his desire to one day find the remains of some of earliest of victims of which, by his own admittance, he had a macabre fascination with. I laughed off his obvious oddities and impetus in talking to me, not possessing the gaul to admit that I had merely picked up the book from the nearby table and had little interest in the scaling of mountains, only in their aesthetic and perhaps the gentle meandering around their bases and low-level pathways. 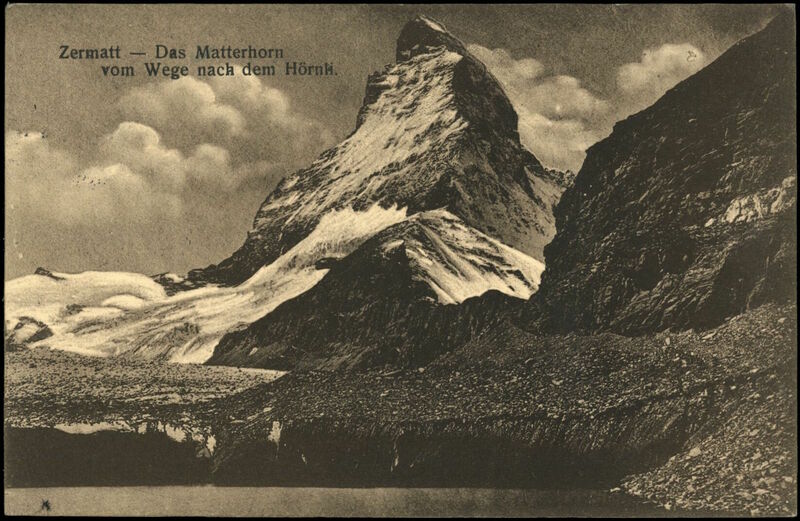 He bid me farewell, leaving to walk a fair trek towards the minor peaks that clustered around the valley though, in his parting parlance, he jokingly suggested that he would not be climbing the Matterhorn just yet. As he left, I looked out of the large bay window of the lounge, observing the peak of the mountain, but unable to fully hold its glaze. I retrieved the genuine book that I was currently reading out of my satchel and walked off down to the lobby and out of the side door towards La Serac for an afternoon’s ponder on the writing of Martin Heidigger whose volume of work was, at the time, seeming as impossible an ascent to finish as I imagined the Matterhorn’s peak to be. I had numerous sporadic meetings with Keller throughout my stay from this point. As is usual in my rituals when visiting the area, I took the Gornergrat train up to the ski routes and enjoyed wandering there with a sense of purposeless. A mountain rescue expert stood with his tourist-friendly St. Bernard panting heavily near the station’s entrance at the top. I noticed a path that lead further into the mountains and away from the main ski routes. I had walked around in an ever decreasing circle for some part of the afternoon, beginning to walk away from this seeming path to nowhere only to be eventually confronted by Keller walking towards me, panting in equal measure to the rescue dog over the way. I greeted him heartily but was surprised to find he looked a little perturbed. At first, I conceived that he had witnessed some sort of sporting accident, perhaps a climber in distress, but later found the problem to be much more complex. He was convinced that, after many years disappearance, he had found the place of rest occupied by the body or bodies of victims of a famous climbing accident. He was on his way back to collect his spade and other equipment that could potentially be of help in excavating the bodies. His bluster took me off guard and I found myself absentmindedly walking back the way I had come alongside the frantic man, in spite of plans of returning to my hotel being far from my mind. I broke off from the spell he had cast with his enthusiasm and agreed that later we would reconvene at the fireside in the gesellschaftsraum where he promised to tell all about the endeavours that had caused him so much excitement. I spent the rest of the day in daze, unable to concentrate on the scenery or the several books I had brought with me. 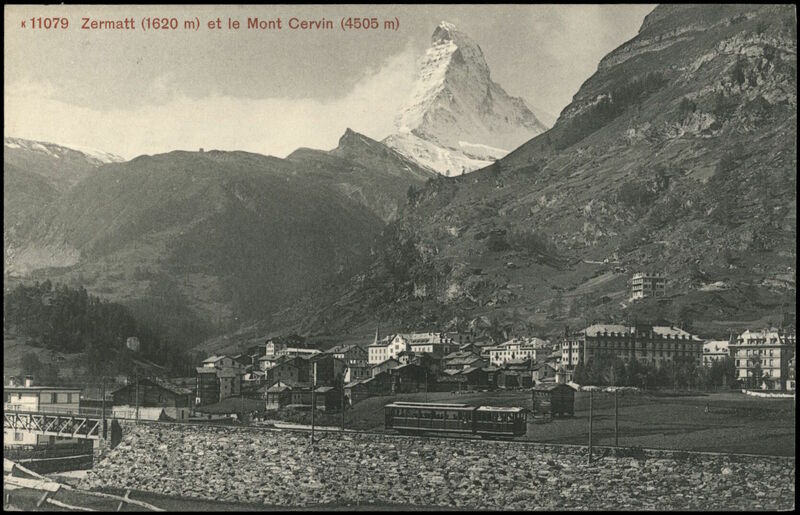 I travelled back down the cog railway, noticing as it travelled through the many patches of Swiss stone pine trees the tip of the Matterhorn again watching like an all-seeing eye. I found a pathway that lead along the Gornera river, its water lashing with surprising violence upon its snowy edges. The season would soon be in flow. Yet Keller’s urgency and possessed excitement played upon my mind and, by the mid-afternoon, I had opted to head back to the hotel for a brief respite and perhaps venture an attempt to find some reasonably priced food in order to distract from what I felt to be an oddly ominous occasion unfolding. I later made my way to one of the gesellschaftsraum‘s leather chairs that lay next to a crackling fire and skim-read my volume of Heidegger whilst waiting for the strange little man to appear. Though he was half an hour late, Keller did eventually appear, impossibly, so I thought at the time, in even more of state of hyperactivity than I had perceived he was in earlier. He sat down in the chair opposite, unburdening his arms of several maps, books, a wet looking scrap of clothing and some older prints of artwork that he had clearly collected in the intervening hours. That aught should be too great for mortal powers. “I broke some of the harder snow with my axe and found an old looking climbing jacket, dating roughly to the 1860s at an estimate. I was, by this point, on the south face of the mountain and began to remember the stories of Edward Whymper’s expedition to first climb the mountain and eventually concluded that this was one of the bodies from his expedition’s tragedy. I must go back as soon as is possible and uncover the full remains before the snow hides the find again. It’s an unbelievable discovery if it is the final missing climber”. Keller’s manner was unnerving and slightly discomforting, especially as he seemed to question very little the sight of the falling men or the sound of the bodily collision once he had moved on to discussion of his potential find. I asked him whether he had reported the fall to the authorities, the question raising his guard slightly. He dismissed the suggestion of raising the alarm and suggested that it was probably some trick of the snow, maintaining some extended form of Brocken’s Spectre had caused the illusion. At this point, the man’s company was becoming a little tiresome, so I begged his forgiveness and left him, feigning fatigue due to the day’s walking. On the following day, I came across Keller again waiting for the cog train to take him up through the Gornagrat and asked him of his plans. He had bulky equipment weighing upon him and told of his desire to try and uncover the body he believed to be buried before the coming snow storm was due to hit in the following days. I insisted on warning him of such a change in the weather and begged him to at least let one of the rescue men that stood near the kaffehaus near the top point of the station know of his intentions but he only began babbling about taking sole credit for his find. It was to be the last time that I saw the man alive and I made a point of seeing him off as the cog train drew him slowly up into the pine forest and away, waving an excited farewell through its large glass window. I couldn’t shake the sense of dread that was beginning to unfurl as I walked up the streets of the town and towards the Whympyer-Stube restaurant where I failed to relax, letting several cups of coffee turn icily cold. I consoled myself by ordering a meal of raclette and several cooked vegetables with bread and oil, only to find further reason for my dread. Perhaps unconsciously, I had wandered into a restaurant named after the leader of the Matterhorn attempt in question, as if the whole event was reasserting its presence in the town. Realising this, I could no longer put Keller and his insane theories of discovery out of my mind. I picked at my food before retiring again to my hotel and room with some desire to sleep. That night, I distinctly remember lying in my bed, noticing out of the window the small orange glow of several flickering lights from neighbouring buildings as the snowfall gradually thickened. It seemed incredibly picturesque. I hadn’t seen Keller for several hours but noticed suddenly that the sound of several boots were coming up the stairs adjacent to my room. A light with a mysterious yellow glow appeared under my door, very much unlike the light usually emitted from the hallway’s several lamps and hangings. The light was interrupted by several walkers making their way past my room and down the corridor to Keller’s room, their boots sounding incredibly heavy with congealed snow. I’d estimate that there were at least three persons to this entourage but I cannot be entirely sure. At first, they passed in silence but, as they neared the end of the corridor to where Keller’s room was, I heard what I recognised to be his voice whispering, perhaps even whimpering. From what I gathered, his tone was almost pleading though I failed fully to catch the words. I heard the locks click in his door and the footsteps enter his room. Considering that the man had insisted on meeting as soon as he had returned from his expedition, I was surprised that he had not attempted to gain my attention and awake me from a presumed slumber. Perhaps his search had lead to trouble with the local mountain authorities. Thinking nothing more of the matter, I rolled over and fell into a gentle doze, simply glad that he was back safely before the snow had caused him difficulty. It could gently tap against my window with as much zeal as it desired, I thought, as it gradually thickened with night turning to early morning. Some hours later, I was awoken by a sharp cry from a woman in the corridor, whom I later learned was a maid responding to a room service call. The cry was followed by a crescendo of shuffling, muffled voices and footsteps running up and down the wooden floors of the hallway. I wagered to guess that one such runner even knocked one of the tables that sat near my door in their haste, its ornate vase audibly falling to the ground and shattering. After spending some time finding my glasses and gown, I switched on a nearby lamp, turning its dimmer to envelop the room with a pleasing glow. On opening my door, I found a crowd of people gathering outside of Keller’s room, many with the look of shock and horror engraved deeply upon their faces. A pair of medical men were attempting to make their way through and eventually shuffled the small crowd out of the way and closed the door behind them. Having failed to see what had happened in my acquaintance’s room, I retired back to bed and waited tentatively for some hours staring blankly at the room’s wooden walls before a knock from a local inspector lead to an interview occurring in the hotel’s lounge downstairs in the early morning hours. 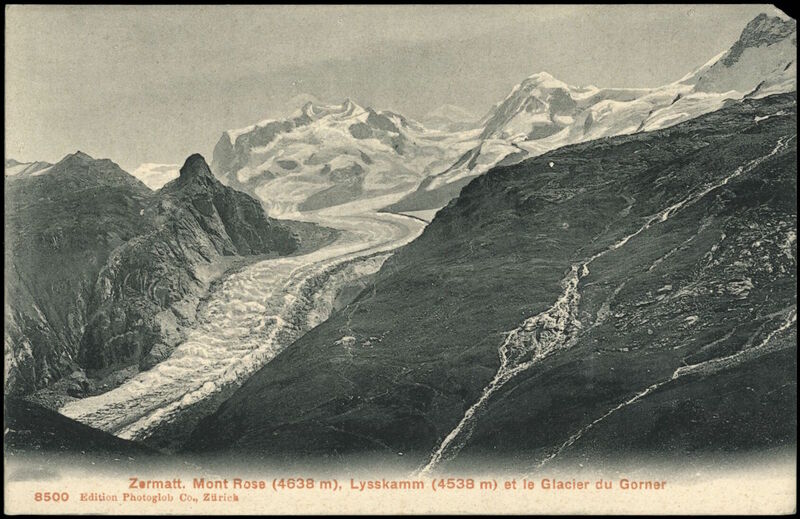 I gave my impression of Keller to the man, relating everything that he had said including the witnessing of him in the company of several people late during the night, his own witnessing of a potential accident in the mountains and his supposed discovery in the ice. It was on the information concerning multiple persons that the inspector insisted most vehemently that it was impossible. My curiosity about the man’s fate could no longer be resisted. At first, I thought that my German had failed to convey my questioning meaning in full but, as it turned out, it hadn’t. According to the inspector, Keller’s room had been locked from the inside and so the inclusion of other persons in the fate the man was purportedly impossible. The inspector was at pains to not divulge anything, not simply because the information was, at that point, barred from public relation but also seemingly because he seemed a little disturbed by the events. Keller was of course deceased, the news shocking me surprisingly little. It was, however, the way in which his death was described where my quiet fear lay, which also explained why his room was sealed off and the floor’s occupants, including myself, were subsequently moved down to new rooms. Keller was not simply found dead but, according to a later coroner report conducted by Gemeindepolizei ,and later an investigative team in Bern, his body was found mangled and spread widely across his room, in the words of conducting authority “as if he had fallen from an immense height”. 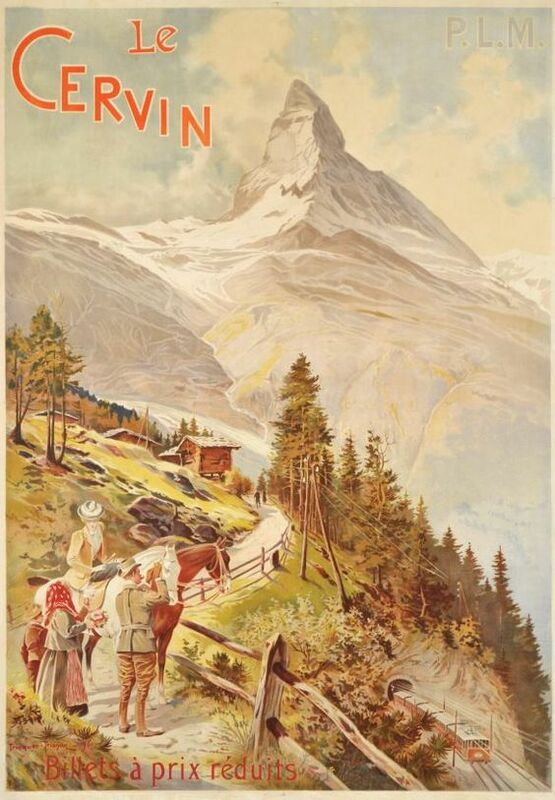 I remember staring out of the window of my new room in the early morning light, noticing the Matterhorn looking down upon the town and valley, a knowing malice in its glare.